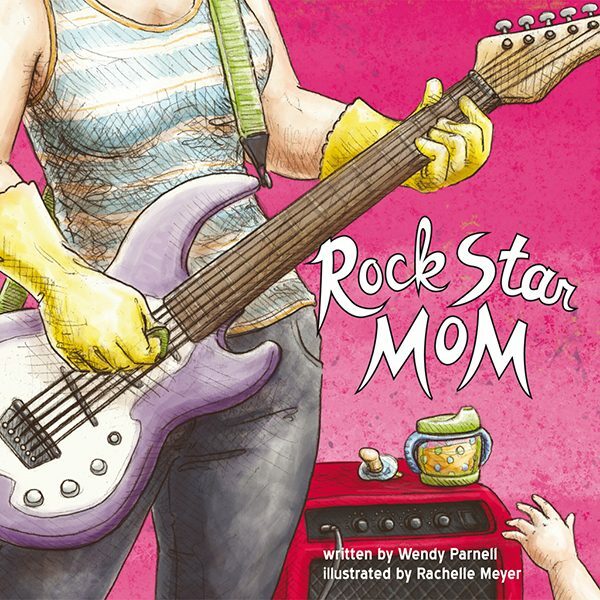 I’m pleased to unveil ROCK STAR MOM, written by Wendy Parnell and illustrated by yours truly (published by Rocket Star Press, Austin, Texas). It’s a rollicking tribute to all the cool moms out there. Moms really are rock stars, and after reading this book, you will never forget it. Calling all moms, rock stars, and Amsterdammertjes! Come to the book release party for ROCK STAR MOM, at Waterstones Booksellers Amsterdam on 8 May, 2:00 – 4:00 p.m.. Featuring performances by SPOONK, glam rock face painting and a costume contest for moms and kids. Break out the glitter and the go-go boots. This is how Mother’s Day should be done every year.